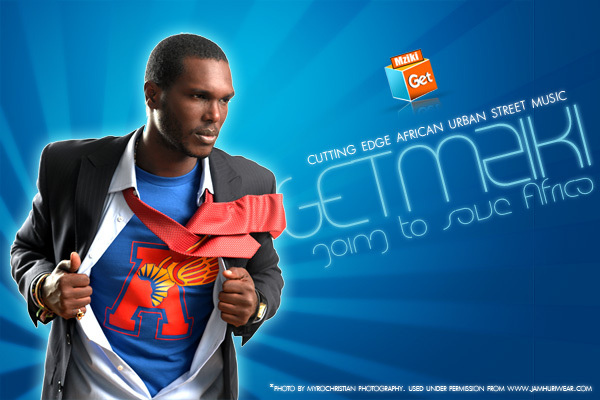 We featured Kayvo Kforce as part of the GetMziki 2012 Freshmen. Here is what we said. Kayvo ” Packs an ammo of rhymes, delivery and pizazz this rapper has cleared his own way and made his name synonymous with Kenyan Hip Hop”. Fast forward to 2104 and his presence has really not blossomed as we hoped it would. Many people would argue that his records are street records and not commercial radio friendly singles. However, do artists in 2014 need the radio to make an impact. I say no…..
Today Tanzania mourns the death of a Bongo Flava legend, Albert Mangwea who was on his way back from South Africa. Details of his death are still sketchy (though there are unconfirmed reports that he may have had a drug overdose) which just makes this post really difficult for me considering the odds. We have a vault of Mangwair tracks that we might share over the next few weeks but for today we just want to pay homage, tribute to one of the few artists that helped shape and redefine the Tanzanian Bongo Flava scene. 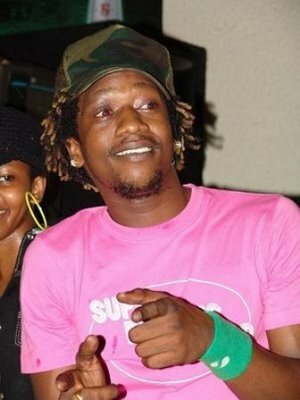 His single “Mikasi” was probably one of the biggest Bongo Flava records in its time. ry up, it would probably be on CNN international or on Inside Africa CNN. Basically two platforms that the average American could care less about. Either way as we start to expand our vision for GetMziki for 2013, we will try to expose some of these interesting stories from across Africa that inspire our music and and redefining the next generation. It appears that our Microsoft Cloud Storage Service has been momentarily been disrupted. It looks like our good friends at Microsoft didnt think it was worth sending us a note to notify us of a major platform release on their side which would impact all WordPress users among other things we utilize their SkyDrive service for. That said you may experience moments of interrupted downloads or completely no download embeds available in their windows for some posts. Please be patient with us as we try to find a more permanent solution to this particular problem. We expect to have this sorted out sooner than later. Thanks for making us the number one Urban Africa Music site. We rarely report on news going on in the music world but sometimes we really have to cross the bridge and report on news we see fit for the site. If you are still wondering what “ONE8” is, then you are not alone. ONE8 is the buzzing new African music super group composed of artists from various countries in Africa produced and managed by the first major pan-African record label and 360 music company, Rockstar4000 within the family of the world’s number 1 recording company Sony Music. The artists on ONE8 are Kenyan’s Amani, Nigeria’s 2Face, Ugandan hip-hop artist Navio, Zambia’s biggest super star JK, Tanzanian heartthrob Ali Kiba, Ghanaian trio 4×4, Gabonese duo Movaizhaleine and DRC’s hot sensation, Fally Ipupa. ONE8 is rumored to be working on a hit song with a top US artist, yet to be named, produced by an undisclosed top international producer and will drop in November with a hot video, also by an international music video director. Word on the streets is that they will be doing a collabo with either Rihanna, Chris Brown or Pink but everything is just hearsay as of now. The all star group to taking the best in music from Africa onto the global stage, connecting millions of fans through the universal language of music. Super groups are always ushered in joy and hype, but past history has always shown us that “egos” always end up breaking the groups. We here @ GetMziki are really excited for the group which will hopefully open up tons of doors for African music. We have featured most of the artists on ONE8 here at GetMziki and you are guaranteed that we will be premiering the new tracks from the group as we get them. Lets go!!!!! We have been out of commission for a few weeks enjoying the holiday with family, friends and foes. Personally I’ve had mad family around me so its made it difficult to post anything or even stay on top of any details sent over. However the beauty of having a dependable team is knowing that someone somewhere is logging on and looking after the interested of the music enthusiast. Even as one of our contributors and owners (Louis Majanja) is travelling overseas in Bogota he still manages to get a few moments to upload a song or two. Recently he was in Colombia and mentioned that African music is thriving out there – he was sitting in a bar listening to Mbilia Mbel in Colombia!!! DJ Dona got back from Kenya and all he had were smiles as he talked about the growing online community we command in East Africa. Its been a blessing to be able to serve the Kenya peeps, DJs and entertainers. With bandwidth costs getting better and internet slowly becoming accessible at homes and mobile phones we believe our future products will be well suited in the East African communities. Initially i wanted to post a Top Ten GetMziki tracks of the year (which I think I probably will), however I settled for some face time for the crew that actually make this site work. Currently we are 3 main writers, 2 main contributors and about 5 regional music suppliers. As we grow we are developing better systems to update music, to store music, to supply and provide better experience to you guys. There have been recent complains of downloads, browser issues, broken links and other face-lift issues. I assure you we have heard each and every word said on email or text and these are things we are working on slowly. 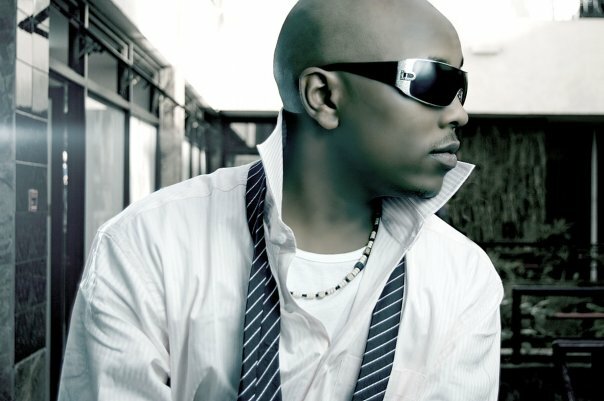 We also have had suggestions about broadening the scope of our music, we cant talk about African hiphop yet we dont really cover each and every African hit track – we hear you and we are working with all these regional DJs and promoters to ensure once we commit to covering other countries, we have a steady supply of music as we have with Tanzania and Kenya. A Few weeks ago I posted an article on my personal blog that was geared more towards how GetMziki works and what it takes to make it work. If you are interested you can read it here: Getting Mziki to work in Kenya. My next post hopefully next year will be Getting Mziki to work in Africa. However after a few days i realized I didn’t thank those people in the right forum which is where the magic first happened. So this is an extension of that article and also an acknowledgement of all the people who work relentlessly to make Getmziki what it is today. We are a team of Internet Enthusiast, Music Enthusiast and Content enthusiast. We all came together because we agree music should be readily available and that there is nothing bigger and better to distribute music more effectively than the Internet. Officially GetMziki existed in other forms since 2001 but over time and over economical changes the re-emergence of blogging as a vital communication tool, we rested on setting up the service last year January. It wasn’t until August 10th 2008 that we officially went live and figured that WordPress and Cloud computing would save the day. Today we boast over 500 songs posted and over 5,000 comments/reviews as well as over 7,000 constant users. We thank you – each one of you who continuously visit the website and continue advocating for hot fresh new sound from the motherland. None of all this would be possible without Danny Munyi in Kenya, the man works hard for us as we do for him *your sneakers are still on their way :-). Chao Tolle at Capital, Steve Kintu – aka Mista Prime and Andrew Siro – aka DJ Mista Dru who collectively have made contributions and certain relationships possible for GetMziki. Blackstar Entertainment during our inception and for our long term partnership. Kwafujo Djs in Tanzania. Our Anonymous Naija resources as well as Tru spot in the US we thank you all so much. To all the Kenyan DJs that send me/us emails every week telling us whats hot and whats not hot – asante sana. To our Mombasa connections and all the new aspiring artists that hit us up from Kenya requesting to be on the site – thank you so much. To all the US artists who constantly splatter GetMziki links on their facebook pages and their friends lists – Asante sana. In Canada our connects Ghana Mixtapes – DJ Julz – Julz Media and all the West African link big up yourself. 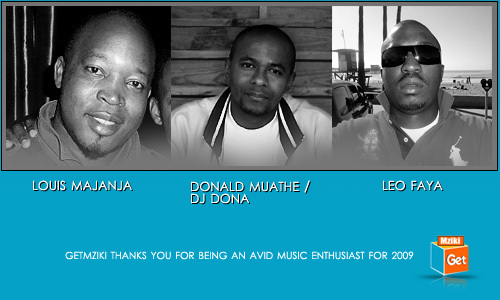 But most importantly I want to say a big thanks to the core team – Louis Majanja, DJ Dona, Danny and Alvin – you guys make running this site seem easy. So thank you all for taking the time to review to collect to post and to manage the content of this website. I hope GetMziki version 2 will live up to its expectations (I still cant believe that we are running Beta). 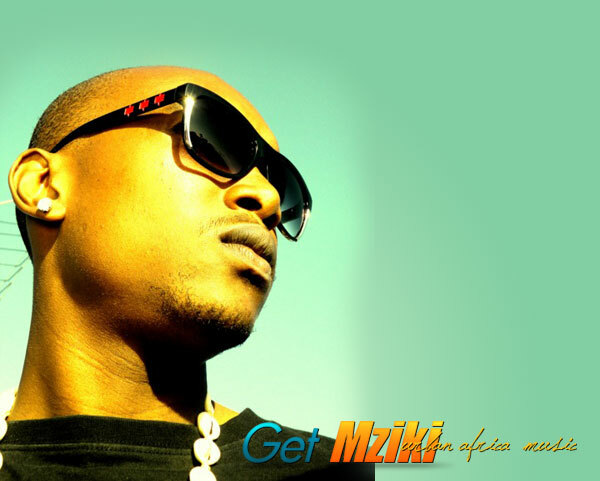 P-Unit : GetMziki shout outs! If you frequent the site you will notice there are certain elements moving around and changing – the building process is never easy or simple. Waswahili wanasema Ujenzi haushi (or hauishagi). Meaning the building process never stops. That said we have been trying to migrate our platform to a new more robust tool for a loooooong time. The site has increasingly grown over the last 11 months, so much that its become tasking to manage data, music and content. So please be patient with us as we attempt to move things around again – temporarily just to stabilize the data and functionality. We do have major changes coming soon – but those wont happen today. Kalibrados is one ofthe biggest HipHop groups in Angola, though this song is more of a Kizomba, Zouk track. Is it only me or does anyone else see the problem here? I admire artists who embrace the internet however I think we need to utilize stuff that is already existing. Unless you can put all your artists on one platform which is what I am hoping this JuaCalis Diary will do – because if you expect me to sign up for Jimwats Diary and then Flexx Diary – kutakuwa na noma. Either way I support all local initiaves. Strangely with all these internet hoola baloo – you still cant find information on artists like Q-TAC and Alahola who is part of the Calif Records camp. I hope in future we would be able to Google any of these names and find their pictures, bio’s and music. Its part of our current strategy at GetMziki although its going to take a while but we are trying. I have a funnel of new music I need to process so please sit tight – some new music is coming your way this week. Bonus content – check out this Alahola Video feat JuaCali (I love this track and video shiiiit) I think its the intro to JuaCali’s Ngeli ni ya Genge album… ITS SICK.. Wai wai wai..
After Ken Razy stormed in the scene with his catchy hit “Ti Chi” many people were counting him off as a one hit wonder. 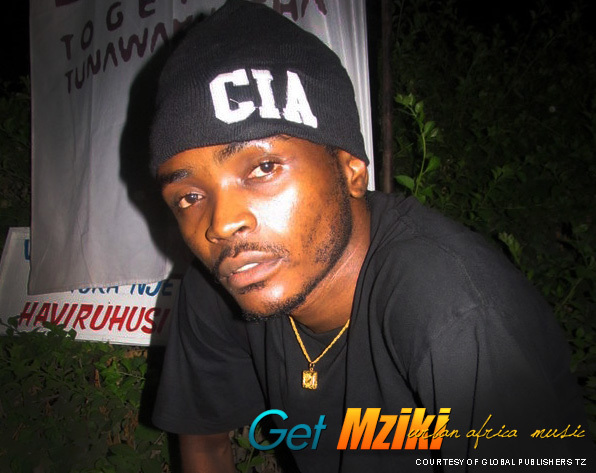 After releasing a couple of singles in 08 (Click Here for Ken Razy’s past features On GetMziki), he starts off the year with the banger “Ashu Kwa Shu” feat. 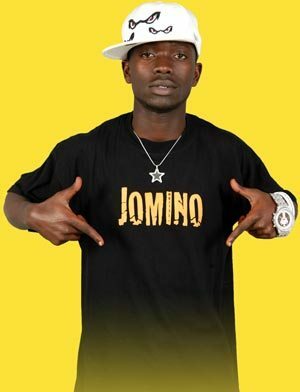 V6 also signed to Jomino records. When I first got this track a couple of months ago I immediately wanted to showcase it on the site but the label wanted us to wait until they had officially released the song. I’m not surprised that the song is on the radio stations top 10 charts after a couple of weeks after its release. This song is one of those songs that will be a dance floor packer for the next couple of months. There are a couple of 2009 songs from Ken Razy in the streets and from what I’ve heard so far, his debut album should be something to watch out for. We will be showcasing some of those songs in the next couple of weeks. Lets keep it on the music people!!!!! Kindly Assist – "Files Not Found"
As you may have noticed over the last few weeks we have been moving things around to improve the performance of this site. While not all the furniture has been situated in the living room and bedrooms – its an on going process that we hope to have accomplished by the end of March 2009. That said – there have been some few requests from different users about “Files not found” errors when they try to play the songs. If you are currently going through such a problem with accessing the website, could you please post a comment on this posting and include where you are accessing the site from, what browser you are using and how often this happens to you. Also if you are not experiencing this problem please kindly assist us by letting us know that you are fine and you are located in place X and using browser X. This feedback will greatly be appreciated as it will help us make some informed decisions about how and where to host the music. ps. We wont be posting any new songs until we have this situation resolved sometime this week so your quick responses will be useful in helping us make that transition. After the victory by Obama last year and the song “Swagger Like Us” by T.I driving the streets crazy at that time, I thought of a way of flipping the script to reflect that historic win. I immediately thought of the basic idea , ran it through a couple of artists, and the ones that came through first were K-Nel and Bamboo. They jumped in the studio to give their take on the 2008 elections “swagger” year and the result is a winner. 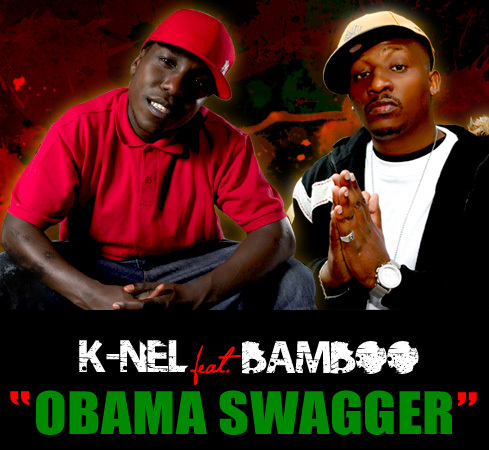 Immediately the “Obama Swagger” song premiered on Homeboyz radio, the calls and comments coming from various sources was that the song had held it’s own weight as compared to the original version. This is one of those street songs that capture your everyday life and meant for everyone since we all got some type of “swagger” in us. Also, Bamboo is in talks to sign to K-Nels Stars limit roster. Enjoy the track!!!!!!! The second tracks is from Samini from Ghana – where my baby deh. is definitely a club banger. And last but not least this years Grammy Nominee – Wayna from DC via Ethiopia and former speechwriter for Bill Clinton (???). I’ve worked in the Entertainment industry for a while both in the US and in Africa. I worked for a record label in the US for close to 3 years and then moved back to Kenya worked for Entertainment companies for a year, started my own and then eventually ended up on Radio. I guess I am what you can call well rounded – or gone full circle when it comes to being able to dabble my hands in the Music industry. While in Kenya I had the opportunity of working with some of the most talented individuals, DJs, promoters and business owners. But by far my greatest experiences were spent working with the local DJs because i got to play a part in feeling the music, feeling the crowd and it reminded me of my tenure at the record label in the US. Its with this same passion that I started this site with my partners and continue to carry the same voice throughout most of my online journeys. That said every year my partners in Kenya send me music sets of work we had done back in 2005/2006 (thats a long time ago) but whats phenomenal is that the material still sounds so good and so fresh today. So whenever this time of the year arrives we celebrate our existence, our success and failures and most importantly our friendship by sharing this work amongst ourselves. In 2006 I built a radio show called Prime Time Radio which was to be hosted by DJ Prime and DJ Cee. 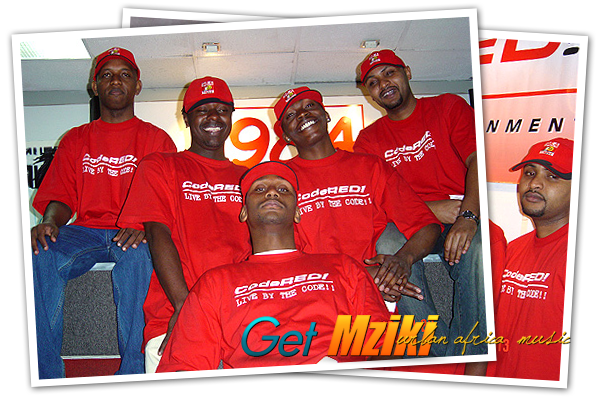 The show was to be syndicated in Tanzania and Uganda – the first time these two were ever going to be on radio, the fruits of which are attached below. (They will kill me for sharing this sets but I think its worth knowing these two personalities the way I knew them). I also grabbed some images a blast from the past you can scheme through – Most of these were taken during the Chart awards and some during some of our events in Tanzania and in Kenya. But these are all some of my fond memories with my Entertainment posse – Blackstar Ent. Enjoy. And although many of these people are doing different things today including myself – its always nice to reminisce and think about how we changed the game in East Africa at one point… Special shouts to Prime (Kintu), Cee (Chris), D-Block (Danny), Smallz (Brian), French (Brian), Edu-G (Edward), Nyota (Nyota), Amazing (Alex), Makumbi (Marcus), Zoom (Moses), Dru (Andrew)… Thanks for the years – Am coming home soon ha ha ha..
Its 2009 and my promise to everyone is to world premier some Bongo flava music every couple of weeks. The first exclusive is “Siwezi” by TID from his upcoming album “Prison Voice”. A lot of my Bongo fans have been hitting me up for this track for a couple of weeks now and I’m sure my inbox will take a “breather” for a few days now. After serving four months in jail on assault charges and being pardoned by the president In December, TID is hard at work in the studio crafting hits. 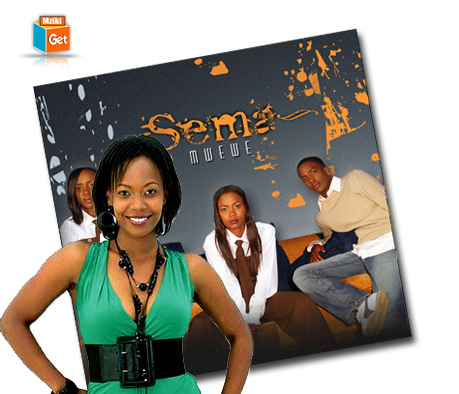 The song first single “Siwezi” was released while he was in prison in November. TID’s music catalog is long too mention, but some of TID’s older songs I still bump today that show his longevity and artistic ability are “Watasema sana”, “Zeze” and “Siamini”. On this post I’ll let the music speak for itself but I’m curious to see what people think of the track. Enjoy and don’t forget where you first heard it!!!!!! This is my 1st mixtape for the new year, which I’m really excited about. I told ya’ll I was coming strong in 2009. I present ISHIKE RADIO PART 11(AFRICAN BANTU EDITION), available now to download!!!. 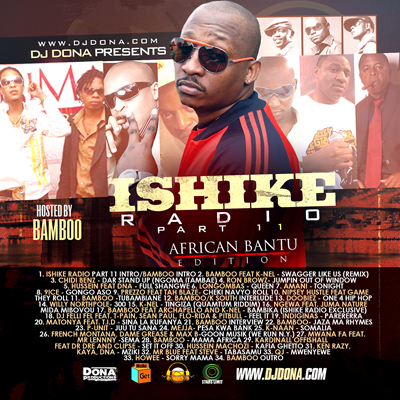 The street album is hosted by Bamboo The African Bantu- Shout outs to Bamboo and his team!!! for being involved in the project. We need to work on that new project fam. Hit me back!!! The album features new and exclusive music from Bamboo that you will ony hear on an ISHIKE street album plus tons of world premiers from various artists that are just too many to mention. With this series I showcased various African artists based across the world plus other international artists creating that “global” vybe on tha street album. Like with every series I world premiered tons of songs that will definiately be future hits . I will be showcasing some of the individual songs as free downloads in the next few weeks, so you do not want to miss out on that. Born and raised in the Central African Republic, Boddhi Satva – real name Armani Kombot-Naguemon – was raised on an eclectic diet of Jazz, R&B, Hip-Hop and Funk as well as traditional African music including Soukous, Makossa and Ndombolo. A move to Brussels in 2000 saw him begin to develop his production talents as he was slowly seduced by the sounds of House and most notably the productions of Kevin Yost and Alton Miller. A meeting with Miller in 2005 resulted in the two collaborating on the well-received Prelude To A Motion EP, released on trail-blazing Paris-based Atal Music. Several more excellent productions have followed on the imprint including last year’s ‘Moina Ya Mokili’ featuring Abel Tabu. Satva’s Afro-beat productions have also caught the attention of world-renowned Afro-beat and world music tastemaker Osunlade, on whose Yoruba Records imprint he released Satva’s four track EP ‘Satva Varti’ in mid 2007. Satva has since contributed several other remixes to the label and will shortly release a full-length album showcasing his ever-evolving talents. 2008 has seen him continue his winning run. Along with establishing his own Offerings Recordings imprint, Bubble Soul, Seasons Limited, Offering, Seed and Ocha have all been clamoring to release his now well-known ‘Ancestral Healing’ mixes and productions this year. Now, with ‘Punch Koko’ set to drop on Vega Records, his profile is set to rise further. Born and raised in the Central African Republic, Boddhi Satva – real name Armani Kombot-Naguemon – was raised on an eclectic diet of Jazz, R&B, Hip-Hop and Funk as well as traditional African music including Soukous, Makossa and Ndombolo. A move to Brussels in 2000 saw him begin to develop his production talents as he was slowly seduced by the sounds of House and most notably the productions of Kevin Yost and Alton Miller(more ..). Seun Kuti, Fela Kuti’s son and Femi Kuti’s younger sibling is an incredible artiste in hes own right. Unlike hes brother who has a separate sound from his father, Seun takes very much afters his father – maintaining the same band -Egypt 80 in addition to the carbon copy resemblance. Seun released his first album some of the highlight tracks include “many things” which sounds like “coffin for head of state” part II. Disclaimer: Server issues will interfere with some browsers playing this song, but once you download you should be all gravy. 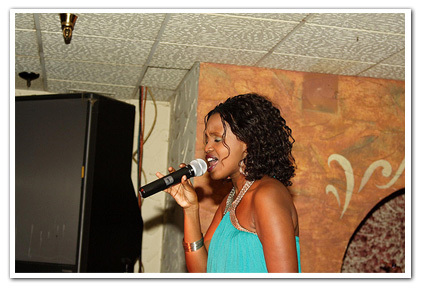 We promised in the begining of the week that we would have some heat and some fire from Amani. Attached is her new hit sing called 2nite (Tonight). I totally like this song, these are the kind of songs that remind me of Kenya – I like the whole English and sheng integration with swahili. I personally like Amani’s style she sticks to her roots and keeps it real with what she knows how to do best. A few years ago marketers and record labels came up with the term Neo-soul to define What they called Nu-soul which was a sub genre for contemporary urban r&b music. The Music was a hybrid for the 70’s influenced soul music fused with the current jazz, latin, African, hiphop, house and sometimes funk music. With time this genre phased out as the artists denounced its ownership and often didn’t want to be classified as Neo Soul artists because it restricted their growth or their breadth of music. Often we would listen to people like Fantasia and classify them as Neo Soul, while all along she considers herself an R&B singer. So came with the fall the death of Neo Soul as we knew it then…(Am not saying the music is dead but the terms of definition have changed over the years). Today we are faced with a similar dilemma as marketers as entertainment proffessionals and as music enthusiast. We are struggling to classify the new sound coming from Africa as a whole and the sub genre coming from Kenya in particular. At GetMziki we have been having a constant dialog about where to bucket these new sounds we have been collecting and its increasingly becoming a daunting task. We therefore have decided to open up the forum to our user base and hopefully something will strike a cord. Some Kenyan artists classify their music as Afro-fusion, some classify their new sound as Afro-Soul, personally I have always called this new sound Kenyan Urban Soul. Some call it Urban Benga – or Kapuka Soul… The truth of the matter is we have to come up with one word or one term that will stick and provide the benchmark for Kenyan Urban Soul music. It gets more complicated when you compare these sounds with other similar sounds within the region… (I have attached a TID and Wyre ballad that will throw you off completely). That said – please listen to the following songs, these are the new sounds of AFRICA, this is AFRICA/ Kenya reinventing itself to compete and collaborate in the on going onslaught for the Global R&B Market. I personally love and adore these types of music, because they demonstrate the vocal capabilities of our artists, they stretch the music and the instruments to the core – the allow our language to be heard in different ways… So to me I call this – Kenyan urban Soul – KUS Music ha ha ha … // please help us define what this sound is.. What do you think this should be?